Thanksgiving Week is upon us so I’m switching it up a little this week. It’s the time of year that we say what we are thankful for. So here are a Holiday 69 of things I’m thankful for. I’m thankful that DeAndre Hopkins is QB proof again. I’m thankful for DFS Thanksgiving slates. Because what goes better with a day full of family and eating than having some money on the line? I’m thankful for Mashed Potatoes and Gravy. I’m thankful that the Pittsburgh Steelers are giving Le’veon Bell all the carries he can handle. I’m thankful that the Chiefs are still the Chiefs I’m used to. I’m thankful that the Bills organization got instant results for benching Tyrod Taylor. I’m thankful that it took one half of football for Nathan Peterman to have more interceptions on the season than Tyrod Taylor. I’m thankful for stuffing, not “dressing”. I’m thankful for Alvin Kamara and Mark Ingram being Top 10 Running Backs every week. I’m thankful that Jeff Fisher’s schemes are no longer making people think that Todd Gurley is the next Trent Richardson. I’m thankful for twitter during football season. I’m thankful that workhorse RBs are coming back in fashion in the NFL. I’m thankful for Antonio Brown. I don’t think people realize how special he is. I’m thankful that Jerry Jones isn’t a p-word like Robert Kraft. I’ll be thankful when Tyron Smith comes back so that I can continue feeling good about starting Dak every week. I’m thankful for Leonard Fournette and his old school running style. I’m thankful for Smoked Turkey. I’m thankful for Russell Wilson’s unique skill set. I’m thankful for “The Wire”. 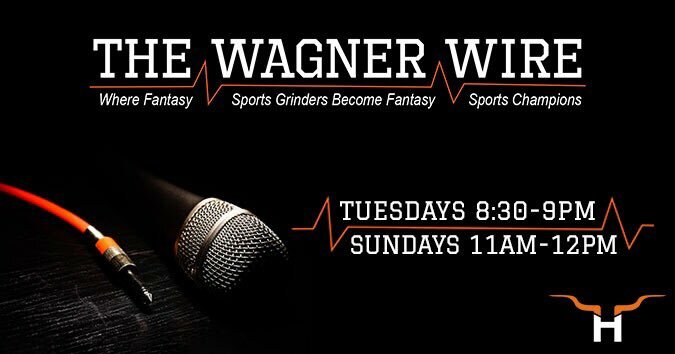 I’m also thankful for The Wagner Wire for giving me the opportunity to do something I love. I’m thankful that Drew Brees finally has a team where he doesn’t have to do all the heavy lifting by himself. I’m thankful that Antonio Cromartie having a billion kids has landed him a reality show on the USA Network. I’m thankful for people that are still sleeping on Adam Thielen in Fantasy Drafts. I’m thankful for Jarvis Landry catching a TD just about every week. I’m thankful for Dynasty Leagues. Everybody should try one. I’m thankful that Evan Engram is having the best Rookie Tight End season ever. I’m thankful for Sean McVay and the high scoring Rams. I’m thankful for Larry Fitzgerald playing some of his best football. I’m thankful for Sweet Potato Casserole. I’m thankful for Carlos Hyde being the Top 10 RB everyone forgets about. I’m thankful for boring Doug Baldwin who just puts up stats. I’m thankful for live scoring on Sundays. I’m thankful for Carson Wentz emerging as the next great Fantasy QB. I’m thankful for what we saw out of DeShaun Watson before his injury. I’m thankful for the Red Zone Channel. I’m thankful for those Sundays where you can stop checking your phone every 30 seconds. I’m thankful for Keenan Allen being healthy in Week 12. I’m thankful that the on again off again drama with Zeke is over. I’m thankful for Hot Wings. I’m thankful that Adrian Peterson was traded to the Cardinals. I’m thankful that the Browns aren’t going to be bad for too much longer. I’m thankful for the Ravens Team Defense. I’m thankful for the backup camera in my car. I’m thankful for the backup Tight End scoring a TD when you have the starter…OK maybe not. I’m thankful for garbage time points. I’m thankful for stashing the backup RB that eventually becomes the starter. I’m thankful for Pumpkin Pie with an extra helping of cool whip. I’m thankful for Stefon Diggs. He a Terp. I’m thankful for Aaron Rodgers. Even more so when I have to watch Brett Hundley. I’m thankful for Monday Night Miracles. I’m thankful we get to watch 3 football games on Thanksgiving. I’m thankful for Tony Romo on commentary. I’m thankful for that waiver wire player like Chris Thompson that helps you win your Fantasy League. I’m thankful for Tom Brady being a top Fantasy QB at age 4o. I’m thankful for each person that takes the time to read or retweet my column. I’m thankful that the Panthers are figuring out how to use the talents of Christian McCaffery. I’m thankful that Andy Reid used Kareem Hunt properly for about 5 weeks. I’m thankful that Saquon Barkley will be in the NFL next year. I’m thankful for Cranberry Sauce. I’m thankful for Juju Smith-Schuster’s bicycle. I’m thankful that the NFC has a ton of exciting teams. I’d be more thankful if the AFC wasn’t New England and Pittsburgh and that’s it. I’m thankful for fantasy football apps on your smartphone. I’m thankful that those outdated Fantasy Football magazines still come out in June. I’m thankful for Zach Ertz and Travis Kelce emerging as the top Fantasy Tight Ends. I’m thankful for those TY Hilton games where he gets 200 yards out of nowhere. I’m thankful for Sacksonville. The Jags Defense is scoring as many points as a Top 5 RB or WR in most leagues. I’m thankful for Ric Flair WOOOO!!!!! Most of all I am thankful for my family and friends. Happy Thanksgiving to everyone out there!